BELIEVE is one of the newest and fastest growing talent competitions in the world, thanks to the belief that every event should be entirely about YOU, the performer & dance teacher! Now, headed into their 6th season, Believe has built a fun, friendly, and professional environment for its competitors, all based on their original promise to studios... Believe does NOT run two rooms at any of their regional events, start routines at 7 a.m., hold awards at 11 p.m., or make performers sit through hour-long ceremonies. Believe has added adjudication trophies for every performance, which studios now have the option of forgoing for groups, in place of a donation to iDance4aCure. All performers still receive beautiful pins for their jackets, in addition to overall plaques, scholarships, special awards & Star Dollars. 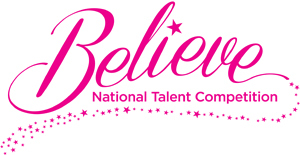 Studios qualifying for nationals at Believe will also qualify for all Star Dance Alliance national competitions. With over 15 amazing destinations to choose from for 2019, we are sure you’ll find a location your families will enjoy!